Christmas snowflakes loop, dark blue version. Holiday background of snow falling on the right side, with copy space on the left. In 4K Ultra HD, HD 1080p and smaller sizes. 4k00:10Multipurpose abstract background animation falling snowflakes which can be useful for Christmas,Holidays and New Year videos and presentation. 4K HD seamlessly loop-able Background animation. 4k00:10Background animation of Christmas Snowflakes which can be useful for Christmas,Holidays and New Year videos and presentation. 4K HD seamlessly loop-able Background animation. 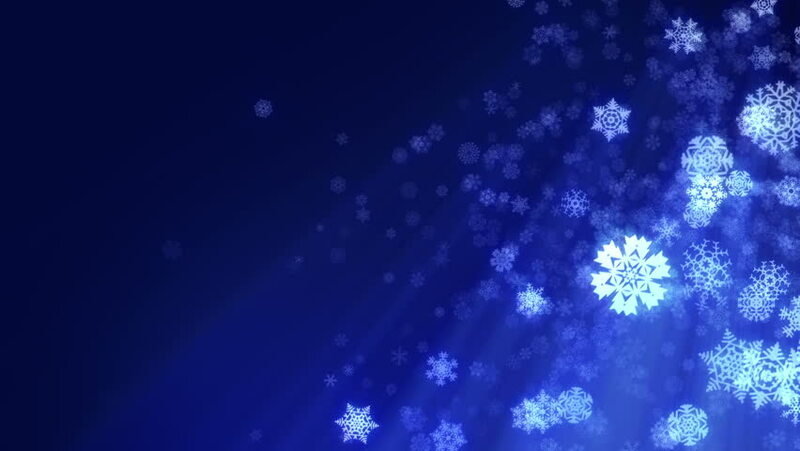 4k00:10Glowing Snow Flakes Christmas background animation suited for broadcast, commercials and presentations. It can be used in Celebration, Party, Christmas,holidays and Fashion or New Year animations.